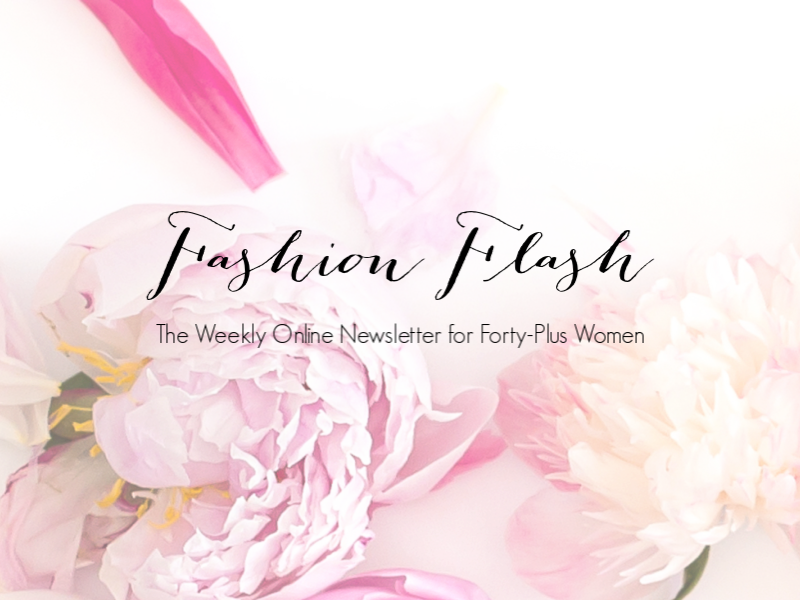 I am hosting Fashion Flash - The Weekly E-Newsletter for 40+ Women, this week and I'm excited to share with you these wonderful articles by fantastic bloggers on a diverse range of subjects of interest. Who knew that beer could be a great post-workout drink to help hydrate and replenish electrolytes? Barbara Hannah Grufferman -- healthy aging expert and author of Love Your Age: The Small Step Solution to a Better, Longer, Happier Life" -- met with two of the world's most successful athletes and got that great tip and a whole bunch of others that even everyday athletes like us can use to stay fit for life. Did you know that you can wear a slip dress any time and any place? Angie of Your True Self Blog shows you how to layer a slip dress for maximum versatility in her post How to Layer a Slip Dress Like a Pro. Inka of Glamour Granny Travels tells you about funny Finnish Easter Customs. Are antioxidants in skin care worth your time and money? Deb of No Nonsense Beauty Blog explores. I'm sure that you've heard of Boxy Charm Monthly Beauty Subscription Box, before. But have you heard of her sister Boxy Luxe? Stacie from The Makeup Obsessed Mom is sharing the contents of this amazing quarterly box that's available to monthly Boxy Charm Subscribers. The dreaded hot flashes, weight gain and loss of libido due to changing hormones can feel overwhelming! Good News... help is here on this week's Ladies Roadmap to Living Ageless podcast. Get tips to shrug off winter's effects and spring into beauty with Jackie Silver Style. Sheila from Painted Ladies shares her 8 current beauty things, including a budget friendly lip balm that's a must try. Perk up your spring with the Fab Fit Fun Spring 2019 Subscription Box! Prime Beauty spills all of the deets on this terrific box! Spring into action! What can keep you from fulfilling your fitness promise. Mirabai Holland from Moving Free gives you some answers. Get fresh, renewed skin for spring! Erika from Notes from My Dressing Table shares one of her best skin care secrets for a plumped, hydrated, glowing and more youthful looking complexion, it's the COSRX Advanced Snail 96 Mucin Power Essence. Do you essence? I hope that you enjoy this week's Fashion Flash, and we'll see you, next week.